Dr. Ginnie Chen did her college undergraduate studies at UC San Diego. Her doctorate dental education was at Northwestern University in Chicago, where she received academic and clinical honors. Upon graduation, she received graduate honor awards from The Academy of General Dentistry and The American Association of Endodontics. With a welcome return to her native, warmer Southern California home, she did Postgraduate training at the University of Southern California in the General Practice Residency Program at LA County/USC Medical Center, where she was the Chief Resident. In addition to private dental practice, she was an Attending Clinical Instructor at LA County /USC Medical Center in the General Practice Residency Program and was the Director at USC Dental School's clinic at the downtown Union Rescue Mission. Dr. Ginnie Chen has extensive experience treating children. While in dental school, she acted as Student Director of Northwestern's Saturday Children's Clinic providing dental services to underprivileged inner city children. Currently, she continues her commitment to the dental need of children by providing dental treatment to underprivileged children at the Union Rescue Mission and volunteer at local schools during Dental Health month. Dr. Ginnie Chen is also involved in the Mentor program at UC Irvine where she mentors undergraduate students who are interested in dentistry. 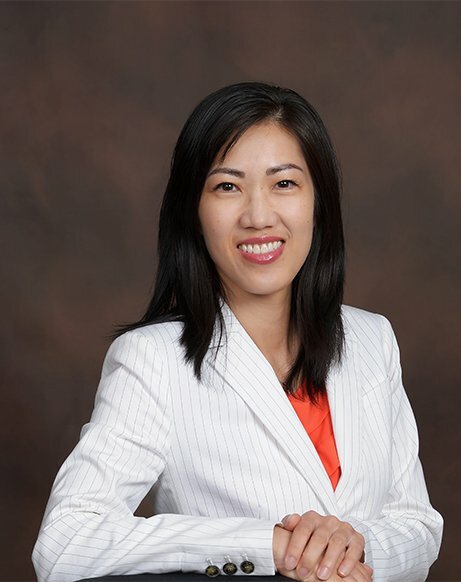 Dr. Ginnie Chen has been serving patients at the Tustin, Ca dental office since 2001.